The Kings Arms | Pub Quizzers | Find a pub quiz near you, now. 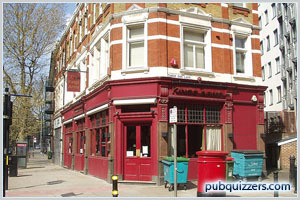 Pub quizzes take place at The Kings Arms, London Bridge on Mondays (weekly) at 20:00. Entry is £2.00, you can have up to 6 people on a team. There are prizes of spot prizes, cash, drinks. Happy quizzing! * * * This quiz has been flagged as inactive. Let us know if you have any updates on it. Have I Got Booze For You, the topical news and general knowledge quiz followed by a round of Bingo. Hosted by the one and only Steve ‘Deayton’ Novak with a fantastic £100 prize fund. They are no longer holding this quiz! They stopped 5 months ago! !